Current: What is Pig and Chicken in Scrum? The business fable of The Chicken and the Pig explains breakfast pigs and chickens in the Scrum process. It’s a way to differentiate between roles in the Scrum/Agile world. Roles are key in Agile. 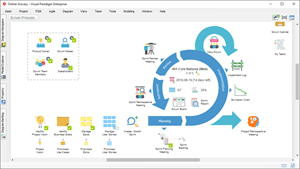 They are constant and form the basis of every decision and define the very basic human relationships in Scrum. 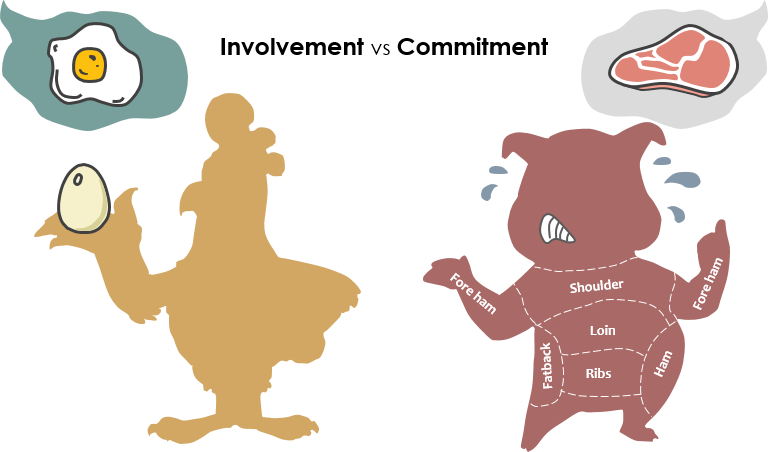 The business fable of The Chicken and the Pig is about commitment to a project or cause. When producing a dish made of ham and eggs, the pig provides the ham which requires his sacrifice and the chicken provides the eggs which are not difficult to produce. Thus the pig is really committed in that dish while the chicken is only involved, yet both are needed to produce the dish. In the Context of Scrum, chickens have input on the product that will be developed, but pigs decide how it’s going to be done and the rate at which it can be accomplished. Thus, the pigs include the development team members, product owner who represents the chickens, and the Scrum Master, responsible for organizing a sort of Scrum events especially during Scrum stand-ups, while the customer, vendor, executives and other important people with vision are, in fact, the chickens in Scrum.